Home > Stories > Cyanide devices remain part of predator control efforts in S.D. Cyanide devices remain part of predator control efforts in S.D. Despite growing national pressure to end their use, small devices that issue a deadly dose of cyanide into the mouths of animals such as coyotes and foxes remain in use in South Dakota. The devices, known officially as M-44s but referred to as “cyanide bombs” by opponents, are part of the arsenal used by state and federal officials as well as private landowners to kill animals that prey on livestock in South Dakota and neighboring states. State officials and ranchers say the M-44s are a rarely used yet effective component of efforts to control predators that kill livestock and significantly cut into the state’s $26 billion agricultural industry. Other tools used in the battle against predation include planes that carry sharpshooters armed with shotguns as well as neck snares and foot traps that kill on the ground. Officials who oversee state predator control efforts say the highly regulated M-44 devices are safe when used properly. They are only allowed on the land of private property owners who are certified in their use and who request predator control assistance. Officials point out that only predatory animals believed to have killed livestock are targeted by the devices, and that no human has been harmed by the devices in South Dakota. In 2012, federal data showed that livestock losses due to predation in South Dakota totaled more than $2 million, according to a state official. A West River sheep and cattle rancher said he lost more than $15,000 in livestock in a recent year to coyotes who killed for food or just by instinct. The M-44s have long been criticized by environmental groups who question their safety and necessity. The M-44s have been under increasing criticism of late after a few pet dogs were inadvertently killed by the devices, including a highly publicized case in Idaho in 2017 when a dog died and a child was temporarily blinded and sickened after setting off an M-44 while hiking on public land near their home. Several environmental groups filed a lawsuit against the federal government last year and in response, a Montana judge approved a settlement that gives federal officials until 2021 to make a ruling on the safety of the devices and their unintended impact on endangered species. A petition filed last year by a wildlife group prompted the Wildlife Services division of the U.S. Department of Agriculture, which runs the national predator control program, to agree to temporarily halt the use of M-44s in Idaho. Meanwhile, U.S. Rep. Peter DeFazio, an Oregon Democrat, filed a bill in 2017 that would outlaw the use of sodium cyanide, used in the M-44, and another deadly chemical called Compound 1080 in the United States. The bill has 18 co-sponsors, mostly Democrats, and none from the Great Plains. 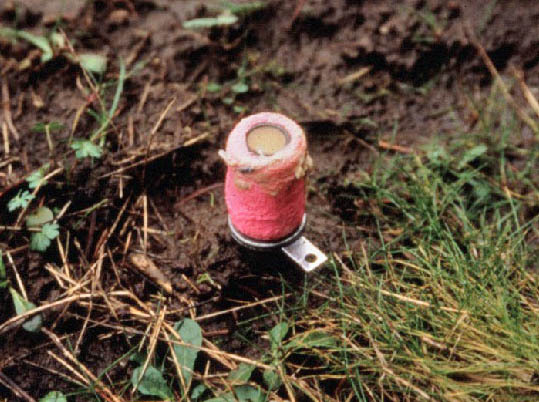 The M-44 devices resemble small vertical sprinkler heads that are often topped with a meat-based attractant and driven mostly into the ground. When an animal bites at the lure, it triggers a plunger that delivers a one-gram dose of sodium cyanide into the animal’s mouth. The poison reacts with the saliva in the animal’s mouth and leads to asphyxiation. The M-44 devices are used both by private landowners, predator control businesses and government agencies. The USDA is allowed to use the devices in 15 states, including Colorado, Montana, Nebraska, North Dakota and Wyoming. South Dakota is not on the federal list of approved sites, though the state is one of five states that allow their use by state officials, private landowners and commercial predator-control operators. According to federal rules, certified applicators must follow 26 specific safety guidelines, including safe handling rules, record-keeping requirements and placement procedures. The M-44s may not be placed within 50 feet of a public road or pathway, within 200 feet of any water body and not in areas where food is grown or protected species may be present. Warning signs in both English and Spanish must be placed around areas where the devices are set. They must be checked weekly. The safety rules have not pacified a growing list of environmental groups that say M-44s are inhumane because they kill animals indiscriminately and lead to unnecessary suffering. The rhetoric has intensified since the death of the dog and injury of the boy in Pocatello, Idaho. In addition to unintentional exposure to pets or people, environmental groups worry that predator carcasses contaminated with poisons will be eaten by other animals that will then suffer a slow death. Wendy Keefover, the native carnivore protection manager for the Humane Society of the United States, said the M-44 devices are part of an “absolutely misguided” attempt to reduce predation through lethal means. Keefover said widespread predator removal efforts lead to an imbalance in nature that can negatively affect otherwise unrelated birds and animals. Keefover suggested that ranchers can coexist with predatory wildlife by bringing livestock closer to homes or into barns at night, using electric fencing or guard animals to keep predators away, and being sure to remove attractants like afterbirth during calving and lambing to keep predators away from livestock. “We don’t want farmers and ranchers losing livestock, but on the other hand, we don’t want lethal predator controls that are inherently dangerous, expensive, inhumane and cruel either,” Keefover said in an interview. However, that same article went on to note that, as is the case in South Dakota, predator control can work if only those animals believed to have killed livestock are targeted. Recent use of the M-44 devices has been minimal in South Dakota, especially compared to nearby states where the USDA handles predator control. From Jan. 1, 2015 to May 31, 2018, only 25 private applicators and 24 commercial applicators became certified to use the devices in South Dakota, said Tom Gere, an assistant director in the state Department of Agriculture. During that time, 10 certified applicators used the devices, resulting in 241 coyotes and seven red foxes being killed. “It’s not a widely used method to control coyotes in South Dakota, but it is another tool in the toolbox,” said Gere, adding that use sometimes increases during calving and lambing seasons in the spring. 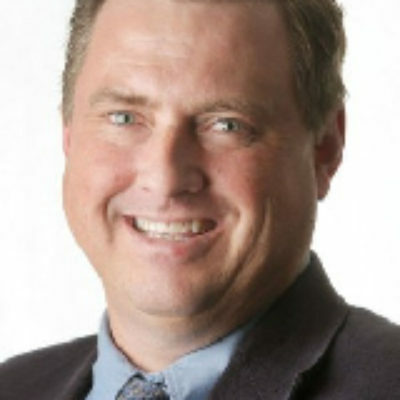 By comparison, other types of South Dakota predator control efforts in fiscal 2017 resulted in the death of 6,903 animals, the vast majority of them coyotes, according to Keith Fisk, wildlife damage program administrator for the South Dakota Game, Fish & Parks Department. Meanwhile, the federal Wildlife Services division reported that in fiscal 2017 the M-44 devices were used to kill 770 coyotes in Nebraska, 330 coyotes in North Dakota, 234 coyotes in Montana and 164 coyotes in Wyoming. Far more coyotes were killed that year by the federal government through other means, including aerial shooting. USDA data show that the M-44 devices killed about 13,500 animals in total in 2016, including 300 non-targeted animals such as opossums, raccoons and skunks and a black bear. Fisk said the big advantage of the M-44 is that it can be left unattended in the field for a week, dramatically reducing personnel costs. “It’s a great tool for our staff because when you set it out there, it’s working 24 hours a day, seven days a week,” Fisk said. South Dakota began its predator program in 1939 to control coyotes, foxes, prairie dogs and other wild animals that damage crops or kill livestock. The program has evolved to include two separate efforts – the Animal Damage Control program to kill livestock predators such as coyotes and foxes, and the Wildlife Damage Management program to stop crop damage by wildlife such as deer, geese and elk, often through non-lethal means such as fencing. The state spent roughly $3 million on those two efforts in fiscal 2017, about $875,000 of that on the predator control program, Fisk said. That year, the state responded to nearly 2,700 requests for wildlife assistance or predator control from about 2,200 landowners, Fisk said. The state has boosted funding for wildlife management in recent years through additional fees added to most hunting licenses. Funding also comes from assessments placed on counties based on livestock counts, and from some private coalitions of livestock producers who assess themselves to aid in predator control. Through the USDA Wildlife Services division, the federal government spent about $280,000 to aid South Dakota in predator control efforts, mostly by providing planes for aerial shooting of predators, USDA spokeswoman Tanya Espinosa said. The two planes for predator control are based in Spearfish and in Pierre or Huron depending on the time of year. Keefover, of the Humane Society, pointed out that aerial shooting also has drawbacks. In a study based on federal public records, she showed that 58 planes or helicopters crashed while aerial hunting between 1973 and 2016 in the U.S., leading to 28 fatalities and 39 injuries. Eight crashes took place in South Dakota during that time, leading to one death in Pine Ridge in 1990. Both Fisk of the GFP and Gere in the agriculture department said they have not received any complaints or concerns about South Dakota’s predator control program, including the use of M-44s, from citizens, public officials or concerned groups. Meade County rancher Duane Reichert has a front-row seat in the debate over the use of M-44 devices to control predators in South Dakota. Reichert has two rebuilt knees, a redone shoulder and chronic back pain that are remnants of nearly 45 years as a sheep and cattle rancher. His gnarled fingers are the vestiges of his second career as a lifelong rodeo clown and ring entertainer. 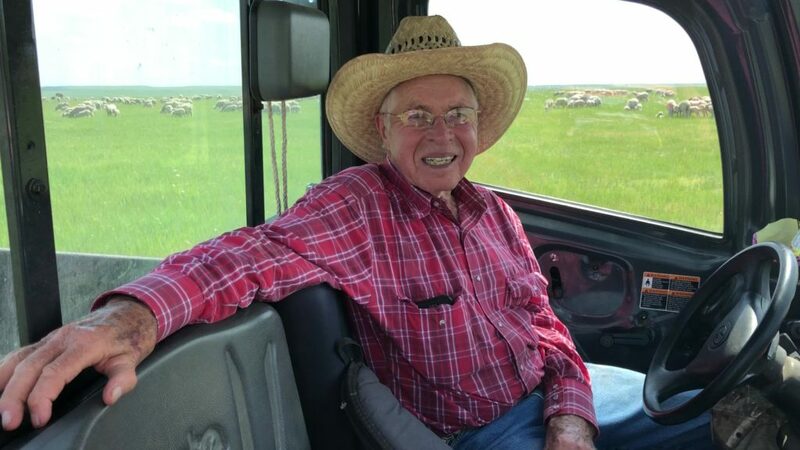 And yet, without pause Reichert, 77, tools around his 4,500-acre ranch south of Enning in a small four-wheeler and frequently stops to perform ranch chores such as rounding up livestock with his Australian shepherd named Rock or closing up heavy fences. 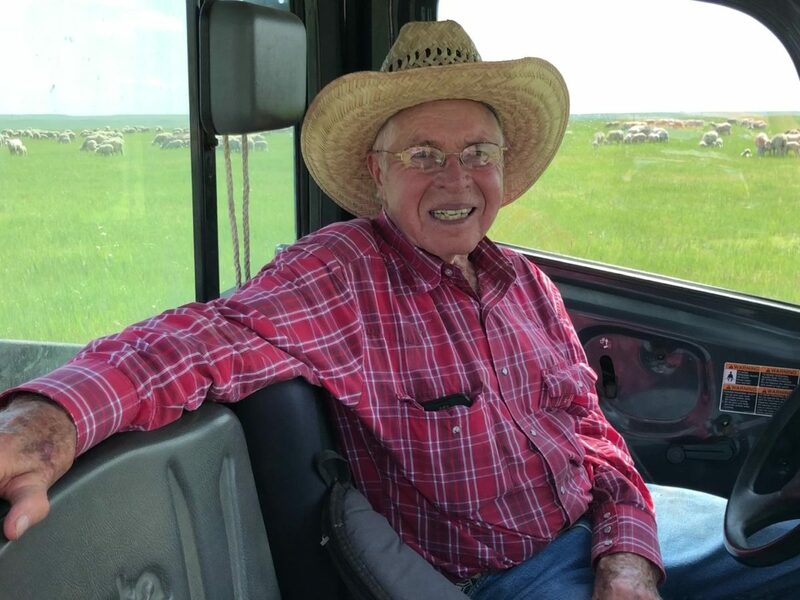 He has about 600 sheep and 150 head of cattle on the ranch he has run since 1974 with his wife of 49 years, Claudette, a retired school administrator. To protect himself and his livestock, Reichert has a .270 rifle always at the ready. In the rare occurrence he spies a coyote in the open, Reichert won’t hesitate to fire off a round. The long gun is one of many methods Reichert has employed or sanctioned on his ranch to control predators, mainly coyotes, that have cost him dozens of animals and many thousands of dollars over the years. Two years ago, Reichert lost 100 lambs to predators that set him back about $15,000 in revenue. Recently, several calves have been taken, and coyotes have sometimes caused calf deaths resulting from small stampedes that start when a coyote threatens cattle in a pen or enclosure. To fight back, Reichert uses neck snares, leg traps, calls upon state and federal officials who shoot coyotes from planes, and has at times set the M-44 cyanide traps though he has none on his property now. Reichert said the M-44 devices are more humane than the other lethal methods because they kill quickly. The devices are also useful to control coyotes that kill at night but may never be seen during the day. Reichert visibly chokes up when recalling a particularly grisly livestock loss a few years back. Two coyotes attacked his herd of sheep not long after lambing and killed a dozen lambs as the ewes formed a semicircle around their dead offspring. During a recent tour around his ranch, Reichert pointed out the carcass of a lamb recently killed but not eaten by a coyote. A state trapper came out and confirmed it was a coyote kill, then ordered a flyby in which a shooter killed three coyotes on Reichert’s ranch and two more at his cousin’s ranch nearby. Reichert then took a visitor to a remote portion of his ranch that he said would be a perfect place to install an M-44 device. 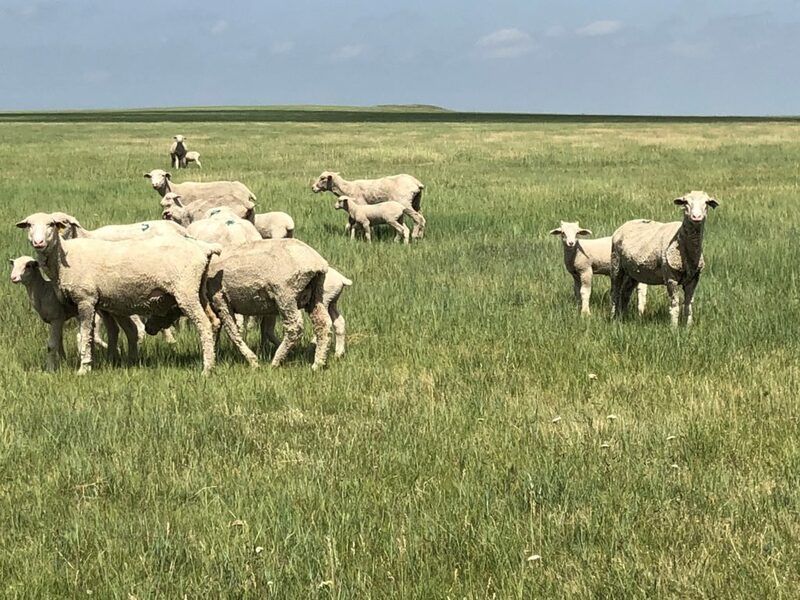 In an area about three-quarters of a mile from any road or public land, tall ridges and a winding section of Elm Creek encircle an open prairie that serves as a makeshift burial ground for sheep or cattle that died of natural causes or were stillborn. “There’s no reason any people or dogs should be even close to this area,” he said. Reichert said it is not uncommon for ranchers and farmers to use chemicals to kill weeds or predators. As proof, he reached under the seat of his ATV and pulled out a jar of Weevil-Cide, fumigant pellets containing toxic aluminum phosphide used to kill prairie dogs that damage fields and consume prairie grasses. Reichert said agriculture by its nature demands that humans do what they can to protect their animals, and as such, their livelihoods.